Connect and network with fellow graduates wherever you are in the world with our exclusive alumni events throughout the year. The UTS Advancement team hosts alumni events across the globe throughout the year. Catch up with fellow classmates, meet with UTS staff, and create new links with a powerful network of professionals carving out dynamic careers in a variety of industries. We’ll be exploring ‘Building for the future’ with international experts at special events around the world, with a range of other alumni events throughout the year. Want to be informed about upcoming alumni events near you? Let us know where you are in the world by updating your contact details with us so we can send you the latest professional networking and development opportunities in your region. 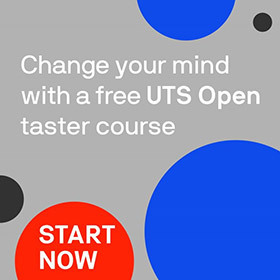 We also welcome you to share news of events and initiatives with friends, colleagues or family members who are UTS graduates. Alumni receptions are complimentary for alumni and friends of UTS, but we invite you to consider making a voluntary contribution to the UTS Diversity Access Scholarship Fund, to help talented UTS students achieve their potential, regardless of financial, social or other disadvantages. Interested in volunteering for your regional network, or hosting a local alumni event? Contact Angela Abbott, our International Alumni Relations Manager to find out more. Events are just one way to stay in touch with your fellow graduates, we also have many global alumni networks – click here to find a network that best suits your interests.